Hill Country Chicken – Home of the Pie Shake! We came for fried chicken. We left with a pie shake! 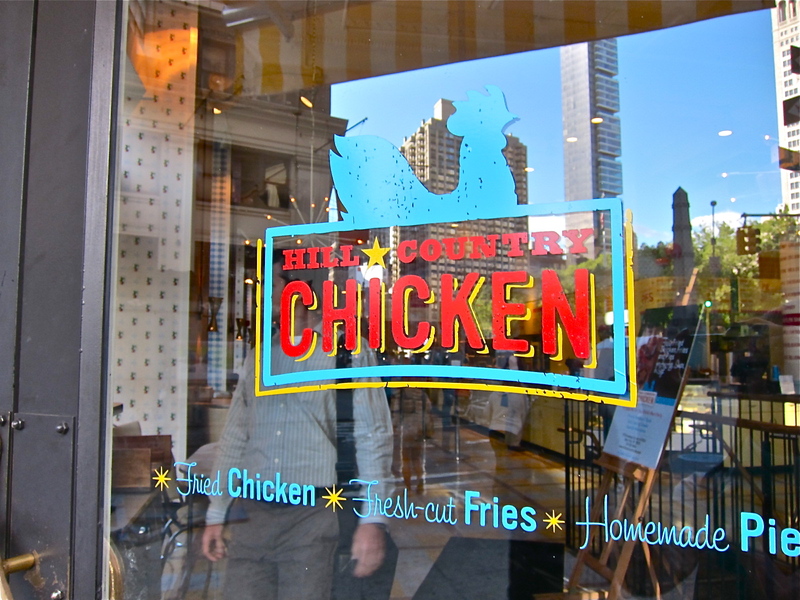 Hill Country Chicken serves up Southern fried chicken and homemade pies in the heart of New York City. This casual diner-style joint is homey and comforting. The chicken is crunchy, well seasoned and oh so juicy. The sides should not be missed either, they offer an array of creatively crafted Southern comforts from fire and ice pickles to cheesy double fried mashed potatoes. Did I mention the selection of pies? 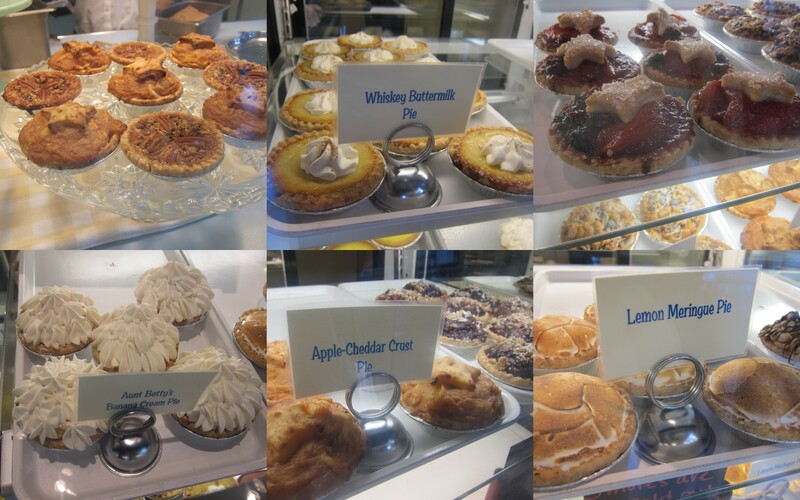 They offer such a large variety of pies daily it is hard to pick just one. Flavors include whiskey buttermilk, salted margarita, and Texas billionaire as well as classics like apple cheddar and banana cream. 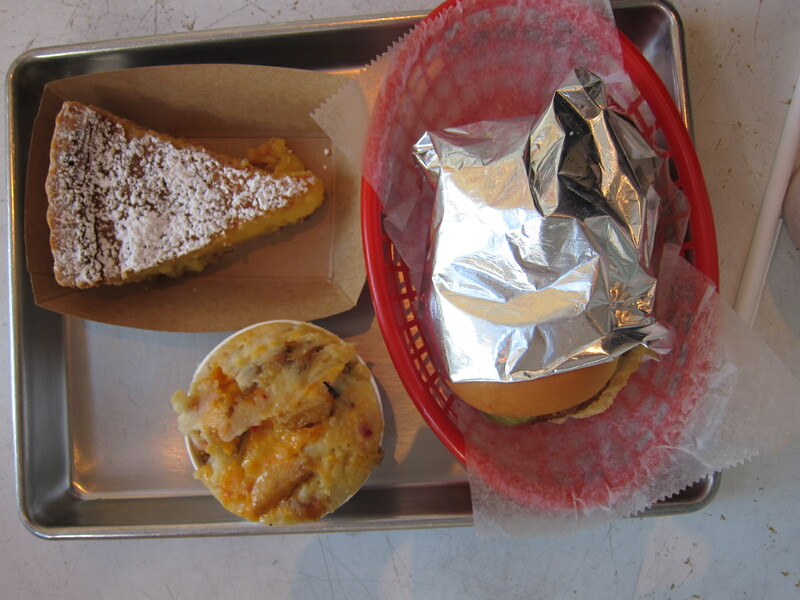 To make things easy on ourselves we went for the day’s special – chess pie. Chess pie is an English transplant that has become a Southern classic. It is essentially just butter, brown sugar and eggs with a touch of cornmeal. The buttery sweet shortbread crust practically melts into the custard. It is a simpler version of the Momofuku crack pie. It was lusciously creamy and sweet, but a bit too rich as a dessert after a heaping helping of fried chicken and potatoes. Pie in a shake is one of the signature desserts at Hill Country Chicken. What is a pie shake you ask? The name says it all: your choice slice of pie blended into a vanilla shake. Some may cringe with disgust but trust me there is nothing disgusting about this shake (if you love pie of course). 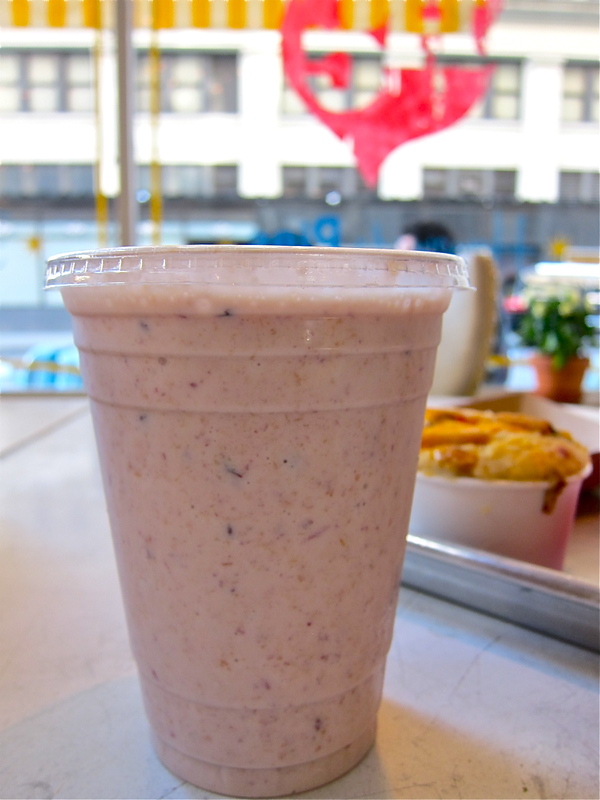 My pie shake was a combination of blackberry nectarine pie with a vanilla shake. The tart fruit, flaky buttery pie pieces and vanilla ice cream contrasted nicely with each other. It added a welcome depth to a traditional vanilla shake. Why: Because you can have your pie and drink it too. this is the second time i’ve heard about this chicken place in a week – but nobody said aything about pie shakes!!! oh my goodness. a pie shake?? i would order up a pumpkin pie shake in the fall and a strawberry pie shake in the summer! i’m drooling on my keyboard…fyi. OMG! This place sounds really terrific. The next time I bake a pie, I’m turning a slice into a pie shake. I will call you over, too! You had some seriously amazing eats in NYC! lynn- they had a sign out front that said pie shakes so it drew me in! allison- pumpkin pie shake sounds like heaven! esi- last post is on it’s way and it’s a doozy!